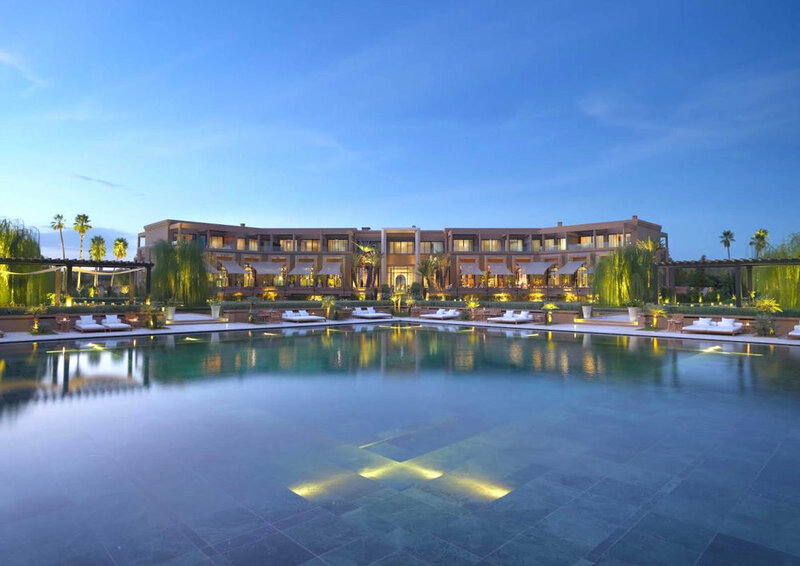 Spread over 20 hectares of exquisite landscaped gardens that are home to more than 100,000 fragrant roses and well-tended olive groves, this brand new luxury retreat is a Morrocan paradise, featuring beautiful villas and spacious suites as well as a fine selection of three excellent restaurants and a stunning spa. Although it’s just 10 minutes’ drive to the city, you will feel as if you’re in the countryside, it’s so tranquil there. This award-winning hotel, which opened to the public in late 2015, has already won numerous awards. It is listed amongst the best new hotels in 2016 by Conde Nast Traveller on their Hot List 2016, it’s known as one of the world’s top wedding venues, the best new hotels on the planet (IT List 2016) and one of the best hotels for Romance (About.com Travel). 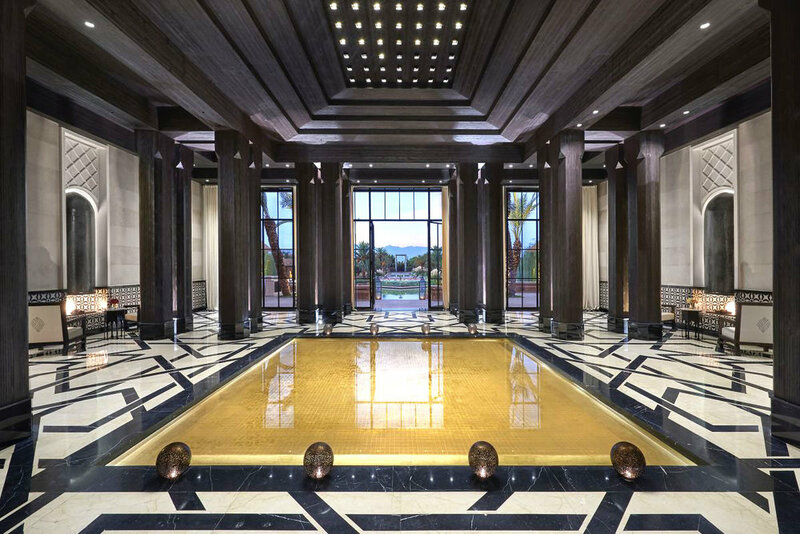 The Spa has been awarded The Best Luxury Spa in Morocco in the World Luxury Spa Awards… and the list goes on, and on! 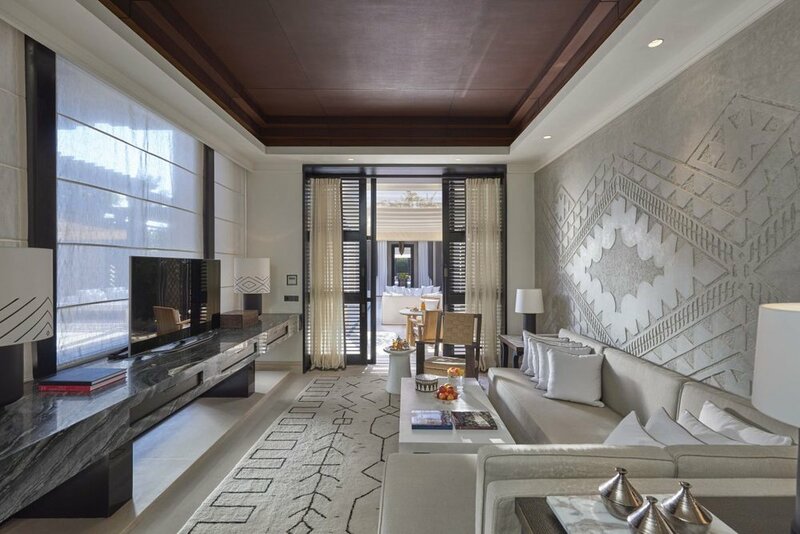 Accommodation is in 54 luxurious villas and 9 spacious suites, all stylish and luxe, as one would expect from the Mandarin group. The villas offer one or two bedrooms. 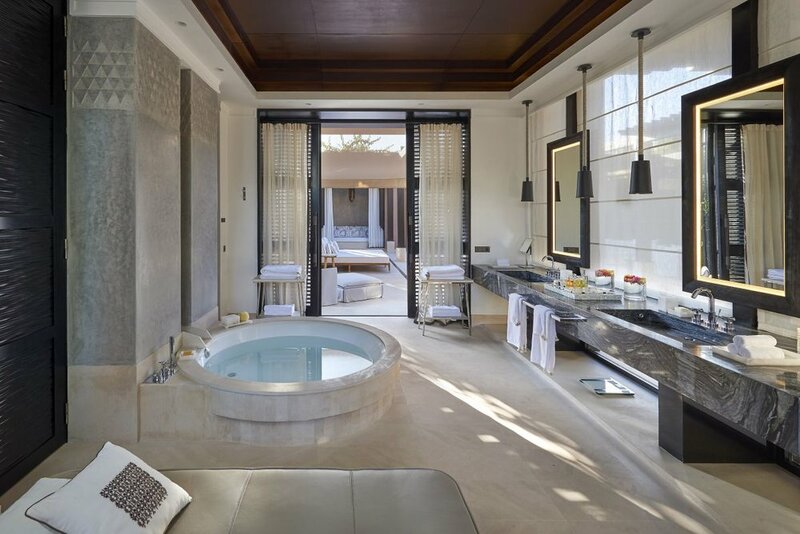 They are spacious, designed as miniature ‘riads’ around an enclosed courtyard and feature private heated infinity pools, Jacuzzis and open-air showers in the private walled garden. The villa’s outdoor area is meant for relaxing, with four-poster loungers, sofas, a fireplace, dining area and a fully equipped kitchen. Throughout the villa, the finishes are superb with hand-woven rugs, textured latticework screens and every possible modern convenience, including a retractable TV at the base of the bed and automated shutters. 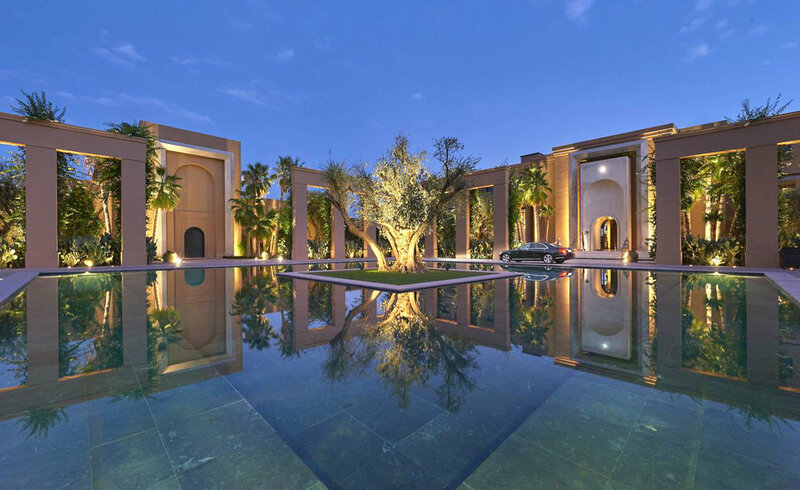 Unlike many of Morocco’s plush hotels, this one offers understated luxury and tranquility. 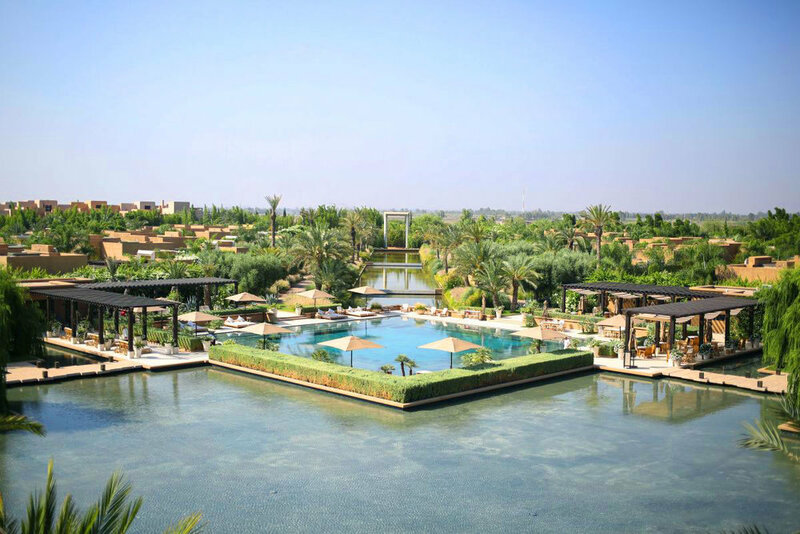 Add to that an exceptional selection of facilities including two swimming pools, one indoor and the other outside, access to two golf courses (both are premier golf clubs), cooking classes, a spa with yoga and fitness studios, personal trainer and nutritional programs and a variety of customized activities and tours – and you have what has to be the most superlative offering in Marrakech. With a choice of three restaurants, dining is always a delectable experience. 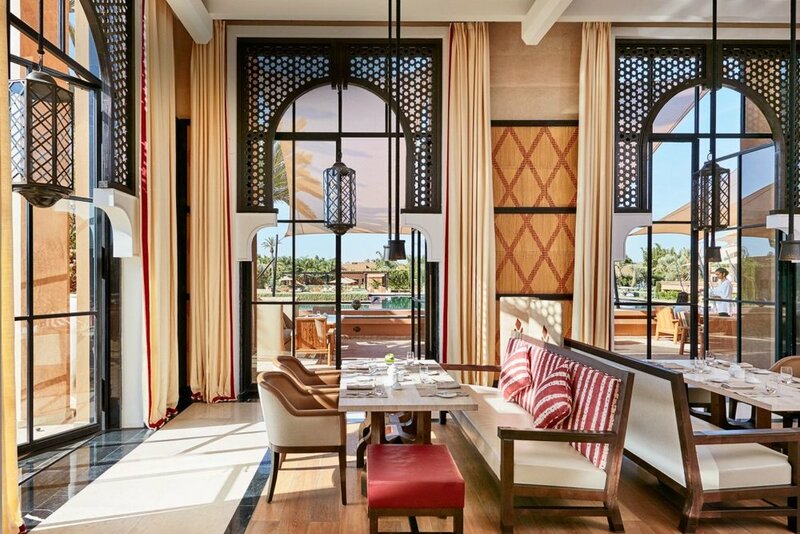 Overseen by celebrated chef Meryem Cherkaoui, who was trained by no other than Paul Bocuse, the menus include a breakfast buffet, snacks, pastries and champagne in the Salon Berbère, organic vegetarian lunches and al fresco dining at the Pool Garden and fine dining Moroccan-style either in the hotel restaurant or in the privacy or your villa or suite. The newest of the hotel’s dining offerings is Ling Ling, which has just opened. This new dining concept where food accompanies drinks called Ling Ling by Hakkasan creates a new experience for guests where they enjoy drinking, dancing and dining together. 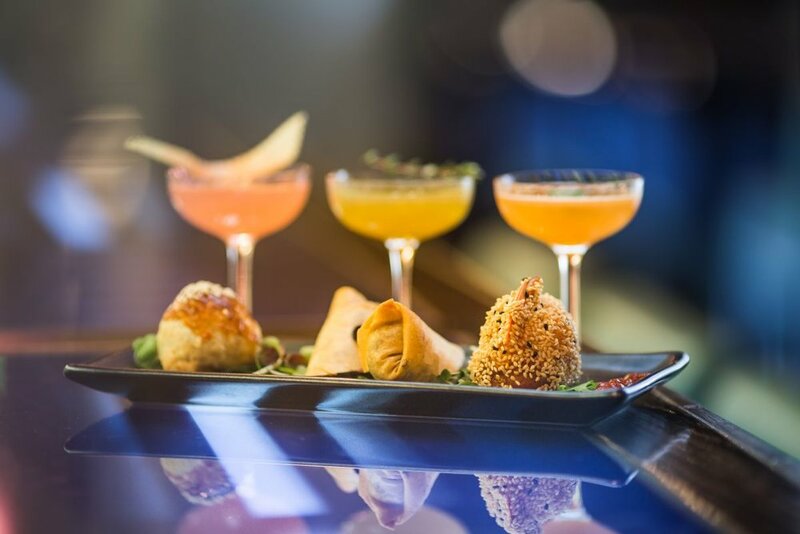 The innovative experience offers an exciting cocktail menu, small plates of exquisitely prepared Cantonese dishes that are perfect for sharing, and a fabulous soundtrack by Hakkasan resident DJ in London, Pathaan. Ling Ling offers an outdoor terrace, lounge and bar. Leisure activities offer guests an opportunity to do as little, or as much as you want to do when on vacation. The spa will keep you occupied with all sorts of health and wellness treatments as well as yoga, gym, nutrition advice and anything else you may require. In addition, the resort has a jogging trail, offers bicycle hire and there are numerous customized tours as well as cultural visits to the Medina (that’s the city) that you can enjoy, as well as shopping trips that can be organized.